Albuquerque's trusted plumbing, heating & cooling specialists dedicated to providing superior service and personalized attention. Water Heater Rebated! Get rebates from $225 to $300 on ENERGY STAR® certified tankless and condensing storage tank water heaters. Contact us for details! Residential, commercial and medical plumbing services are available. With over 40 years of experience, we've become master craftsman in our fields. 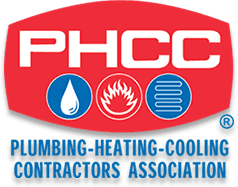 Though we often take them for granted, the plumbing systems in our homes and businesses provide us with the convenience and comfort we need to tackle the day. Such a vital aspect of our daily routines should be treated with care by trained professionals like the Albuquerque plumbers at Steward’s Plumbing. Providing high-quality repairs, installations, and maintenance services, our team goes above and beyond to ensure that your unique needs are met. We serve residential, commercial, and industrial customers – including medical and dental facilities – throughout Bernalillo County. For our valued customers’ convenience, we also offer affordable prices and financing options to make your plumbing goals attainable. At Steward’s Plumbing, our team members are true craftsmen and honorable service professionals doing the work they are genuinely passionate about. Our tool belts are equipped with cutting-edge technology, advanced plumbing techniques, and the skill that only comes with years of dedicated service. 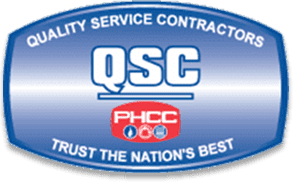 We approach every project with a commitment to finding the most effective and reliable solution – one that will restore your plumbing system to its prime condition. Give us a call at (505) 906-6777 today to request a consultation or schedule a service appointment. At Steward’s Plumbing, we believe in providing our customers with a positive experience from start to finish. When you count on us for plumbing, heating, or cooling services, you are our number one priority. Whether we are repairing existing equipment or installing new products, we begin every project by thoroughly assessing your unique needs. This allows us to tailor our services to you specifically. From there, we provide our honest, expert advice on the best solution to solve your problem – our team will never try to upsell you on services or products you don’t need. Our Albuquerque plumbers will perform every service with a commitment to quality and we won’t leave until you are completely satisfied with the results. Our professionals are certified to service your home, business, or medical facility. We're dedicated to our community, and providing them with the highest standard of care. To ensure that you receive top-notch plumbing, heating & cooling services. Our team of professionals strives to build a lasting relationship with our customers. Mar 11, 2019 Eric Maxon Receives 2019 AZA International Unsung Hero Award! What Are You Waiting For? Scheudule Your Plumbing & HVAC Service Today! We're Albuquerque's trusted specialists focused on servicing our community and ensuring we meet their plumbing, heating and cooling needs.